2 Bedroom End of Terrace Cottage For Sale in Whitby for £218,000. Superb Grade II listed cottage with accommodation over three floors and having private patio/yard. 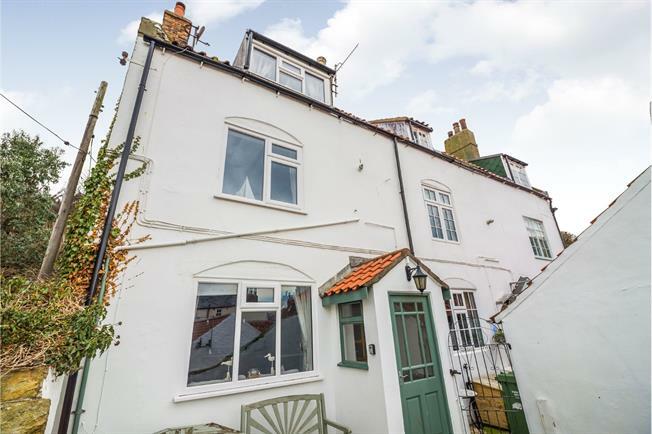 Situated in a quiet yard off the old cobbled area of Church Street just two minuets form the local shops, pubs and all the attractions the historical centre of Whitby has to offer. The beach is only "a pebbles throw away" but the location offers private serenity, secluded from the hustle and bustle of this thriving resort. The accommodation spans three floors and offers open plan living on the ground floor with fitted kitchen incorporating a breakfast bar. This cosy room will be a delight both summer and winter and the private yard to the front is a brilliant space to enjoy the fresh air and sunshine. There are many original features in this adorable cottage including doors and panelling, fireplaces and beams. The property really does have a fabulous ambiance and internal inspection is highly recommended to get a real feel for the place. You will not be disappointed.